I was always the geeky kid. The first word I learned to spell was DINOSAUR! Why, you ask? Because my mother got tired of telling me how to spell it. How old was I? 6! yes, SIX! Continuing on through my childhood, and my geekiness broadens. If I asked my mother how to spell a word, I was told to look it up. I then was to write that word 100 times. I did the same with definitions. Needless to say, I received my first collegiate dictionary at the ripe “old” age of eight. I once asked her who shot Abraham Lincoln. My assignment from my mom was to look up Abe in the encyclopedia, then look up John Wilkes Booth. I was then to write a report about what I learned. I never forgot who shot Lincoln. Much to everyone’s surprise, I didn’t stop asking questions. Fast forward once again- this time to my first computer. My parents were yard saling one day and ran across a very intriguing offer. There was a large box with manuals, books, and computer parts. Beside it sat a computer and monitor. It wasn’t very much, so they brought it home and made a 10 year old girl very happy. My favorite book in the box taught how to write “atari” style games. Of course, the joystick at the bottom of the box helped! I think of that commodore 64 often. This is the beginning of my story and the true beginning of NighLon. When I want to learn something, I don’t stop until I find the answer. I enjoy web surfing and sharing all the fabulousness I find. That is my purpose here at NighLon- to not only bring you my creations, but also the best of the web! Posted on September 17, 2011, in Blog Love, Fabulously Geeky, NighLon Updates and tagged featured firday. Bookmark the permalink. 8 Comments. 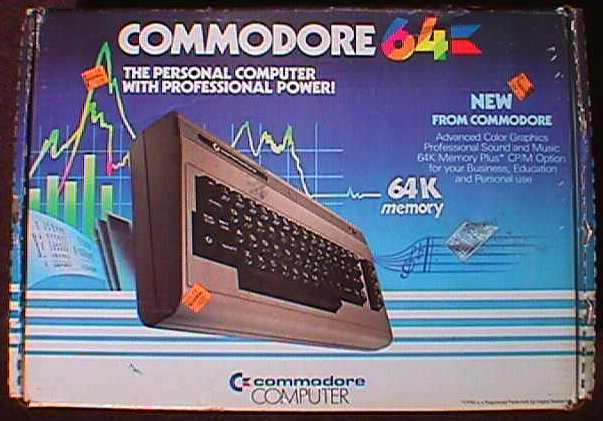 Ah, the Commodore 64… My husband too has fond memories of that baby. 🙂 Look forward to reading more! If I ran across one now, I would definitely get one! They should put one out like Atari did, I’m sure it would sell! This proves that you never know how one little thing will guide someones distant future. you are right mom, I’m sure you had no idea how those things would make me who I am today. Thanks for all of your encouragement and lessons along my journey! LOL! I always told my sons to look it up, when they asked about a word, never had them write it, though. I would rewrite my notes while studying in high school and college, so I guess mom knew that would help me remember. I haven’t heard of many others doing that, glad to hear it!